Race Driver: Grid's online multiplayer PC and PS3 servers were axed because the contract with provider DemonWare ran out. Codemasters couldn't renew the contract, however, because DemonWare was acquired by Activision in 2007. DemonWare, at that point, put an end to third-party licensing. But Grid was released in May 2008. True, but the DemonWare copyright on the splash screen dates to 2007, presumably before Activision swooped on the matchmaking and multiplayer provider. Codemasters refused to comment when asked directly whether DemonWare was the third-party provider in question. But consider the statement offered when the PC and PS3 online multiplayer Race Driver: Grid servers were confirmed as closed, and the dots join up. 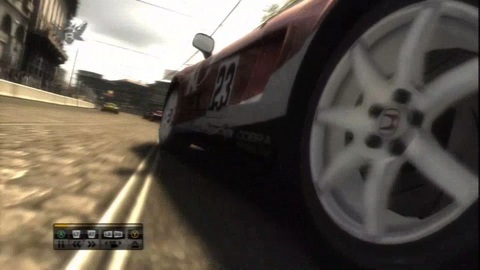 "After three years of service, 2008's Race Driver: GRID's online play service has been discontinued for the PS3 and PC editions of the game," Codemasters wrote. "This follows the decision by a third-party provider to decline the offer of an extended contract to continue online play on these platforms." The Xbox 360 version of Race Driver: Grid is unaffected by all of this because it uses Xbox Live for matchmaking. GameRanger, an Australian matchmaking service, has since resurrected Race Driver: Grid multiplayer on PC. Race Driver: Grid scored 9/10 in Eurogamer's review.